As we enter year 2018, I join you all in giving thanks to God Almighty for taking us safely through the past year to the beginning of a new year which, by His Grace, will be a much better year for our State. With your support, we were able to record numerous milestones in 2017 despite the recession which brought about severe economic challenges to our State like many other States of the Federation. Let me reassure you that we are almost at the end of the tunnel and as we enter the new year, the wage bill menace will be surmounted and our dear workers will begin to receive their salaries as and when due. As your Governor, I remain hopeful and resolute that this difficult and challenging economic scenario will come to pass. Indeed it is almost over. We are on the threshold of a new economic boom. All that I request from you is continued support of our economic policies as we march onto greatness. Benue is rising and will surely get to its desired development destination. Our administration believes that there are no shortcuts to economic development. Adequate infrastructure and appropriate policies are required to increase commercial activities and stimulate economic growth and development. It was in this conviction that we rose in defence of our people with what has now become a reference point across Nigeria as the best solution to herders, farmers crisis - Benue State Open Grazing Prohibition and Ranches Establishment Law 2017. We are glad that the Law has become a model for the country. We have started implementation with the provision of manpower and equipment for enforcement of the law. We hope to sustain these efforts in the incoming year as we do even more. 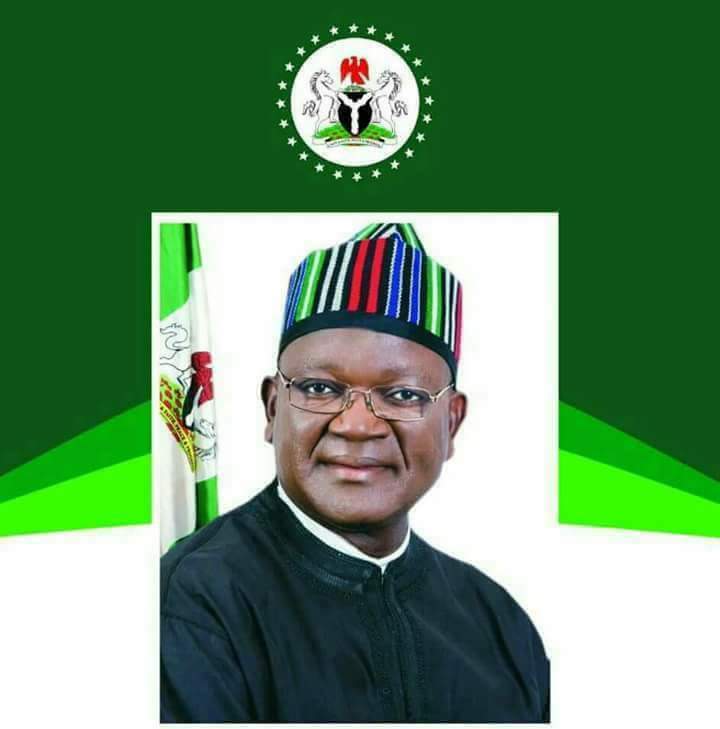 Let me reassure you that we will not relent in our resolve to make Benue a safer place for its people and investors from all parts of the world in year 2018. We call on Nigerians to rededicate themselves to the cause of promoting peaceful coexistence and supporting President Muhammadu Buhari's fight against corruption in all its ramifications. As political activities intensify later in the year, let us all resolve to play by the rules of the game with the commitment of deepening the democratic process for our benefit and generations yet unborn.